What do Nordic walking, paddle boarding and Tai Chi have in common? They’re all on offer for free in parks up and down the country this summer through our ParkLives scheme. ParkLives is back for the third year and is bigger and better than ever before. This year sees the programme expand to more than 200 parks across 10 cities with Dundee, Southampton, Stoke-on-Trent and Swansea taking part for the first time. Joining parks across Birmingham, Newcastle, the London Borough of Newham, Glasgow, Manchester and Nottingham, the new locations will offer more people of all ages and abilities the chance to get together and enjoy a wide (and sometimes unusual) variety of free activities. While returning favourites such as Zumba, Tai Chi and roller-skating are on offer, new sessions for 2016 include paddle boarding, walking-football and even bat walks! The programme offers people the opportunity to get outdoors, make the most of the local park, meet new people and enjoy new experiences. So grab a friend, a colleague or your whole family and head down to your local park to feel good and laugh lots. “ParkLives is all about bringing communities together to enjoy fun, free activities in their local green spaces. With brand new activities and more parks taking part, ParkLives is set to be even bigger and better in 2016," said Liz Lowe, Coca-Cola GB Sustainability Manager. 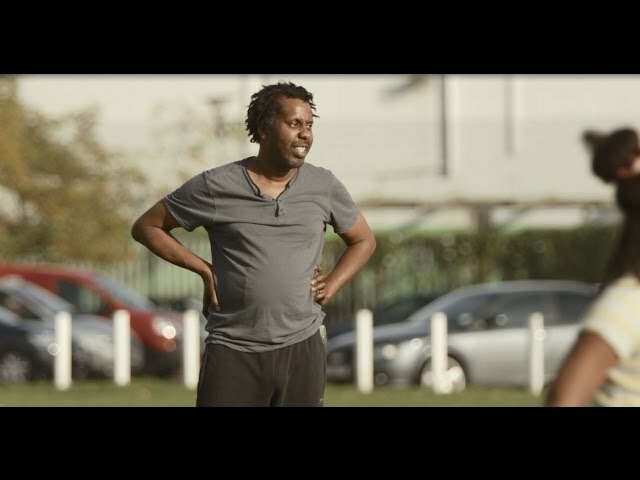 Watch the video below to find out Richard's story, where he recounts the highs and lows from playing rounders with his family at a ParkLives session. Alongside the new cities, our long term charity partner, StreetGames, is also getting involved with the programme for the first time this year and bringing ParkLives to towns across the UK through their network. ParkLives launched in 2014 and is part of a £20 million commitment by Coca-Cola Great Britain to invest in community-based projects that help people be active. The programme now runs in ten cities across the UK including Birmingham, Dundee, Glasgow, Manchester, Newcastle, Nottingham, Newham (London), Swansea, Southampton and Stoke-On-Trent. Check out what’s available in your area using the helpful postcode-led local park finder, and see the full timetable at www.parklives.com.